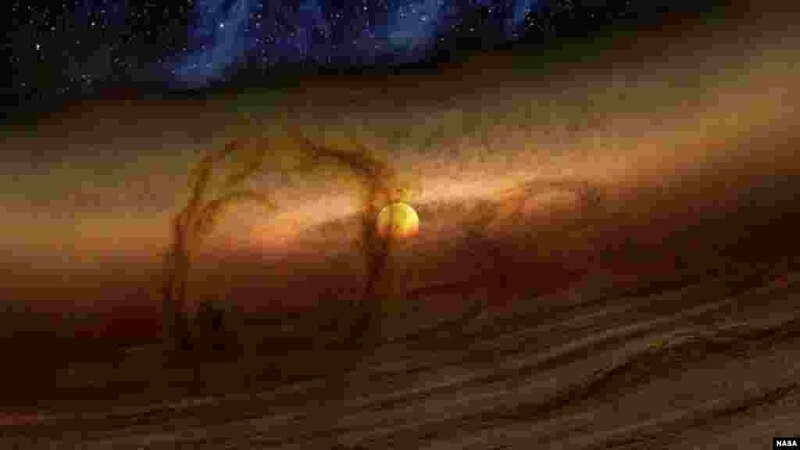 ۲ Magnetic loops carry gas and dust above disks of planet-forming material circling stars, as shown in this artist's conception. These loops give off extra heat, which NASA's Spitzer Space Telescope detects as infrared light. 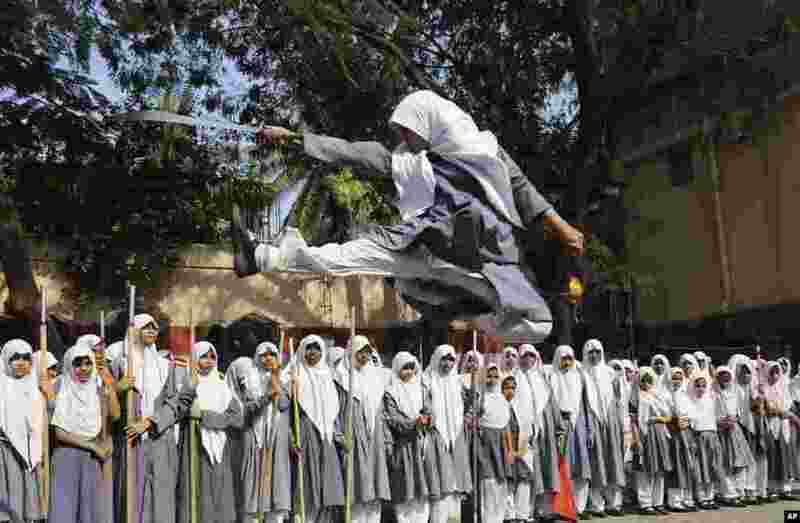 ۳ An Indian Muslim girl performs martial arts during a function to mark International Women’s Day at a school in Hyderabad. 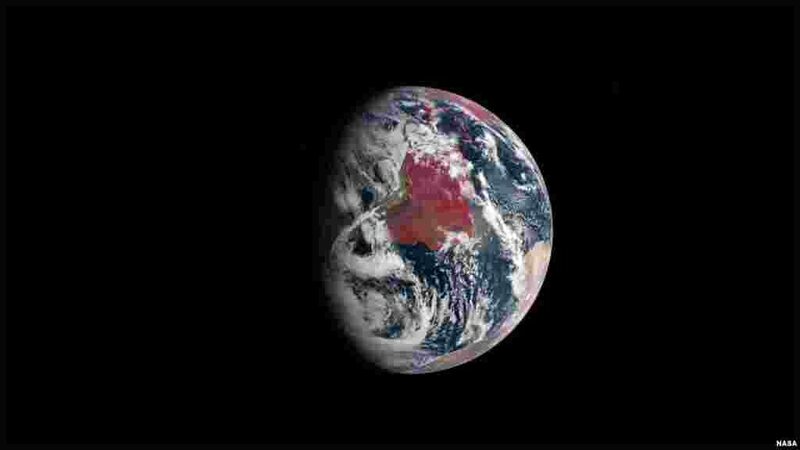 International Women's Day will be marked on March 8. 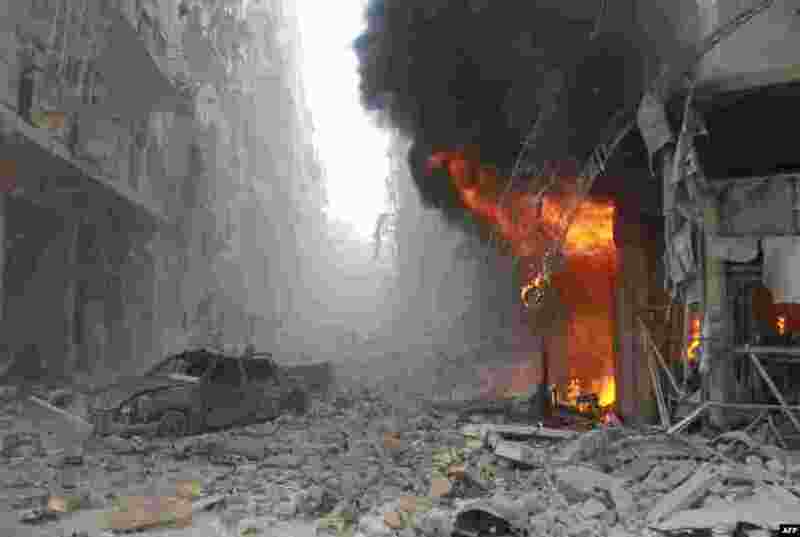 ۴ Debris cover a street and flames rise from a building following a reported air strike by Syrian government forces during the Friday prayer in the Sukkari neighborhood of the northern city of Aleppo. 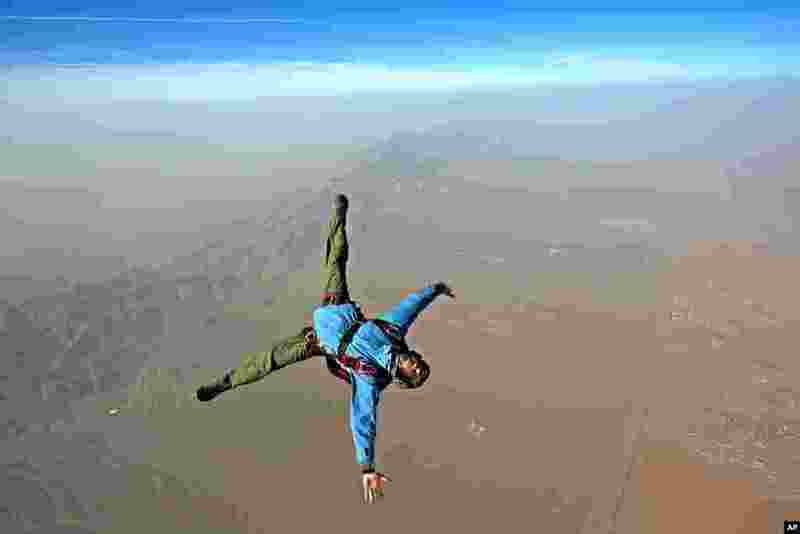 ۵ An Iranian skydiver jumps from a helicopter outside Tehran. 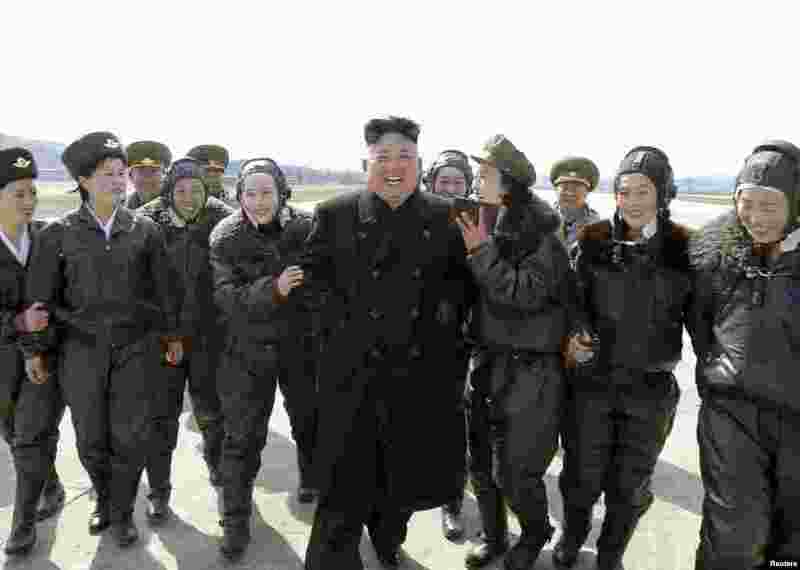 ۶ North Korean leader Kim Jong Un supervises a flight drill of the KPA Air and Anti-Air Force Unit 2620, honored with the Title of O Jung Hup-led 7th Regiment, in this photo released by North Korea's Korean Central News Agency. 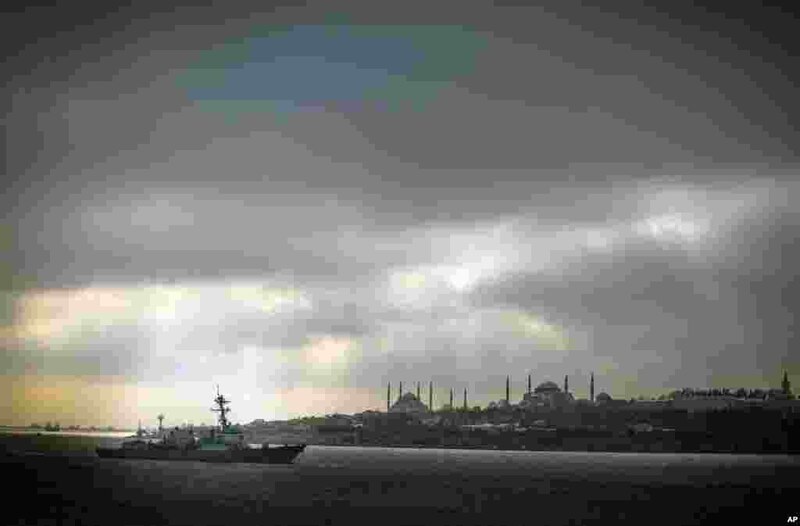 ۷ U.S. warship the USS Truxtun sails in Bosporus Strait en route to the Black Sea, in Istanbul, Turkey. The Navy destroyer is participating in exercises with Romania and Bulgaria and is expected to be in the Black Sea for several days amid a stand-off over Russia's military incursion into Ukraine. 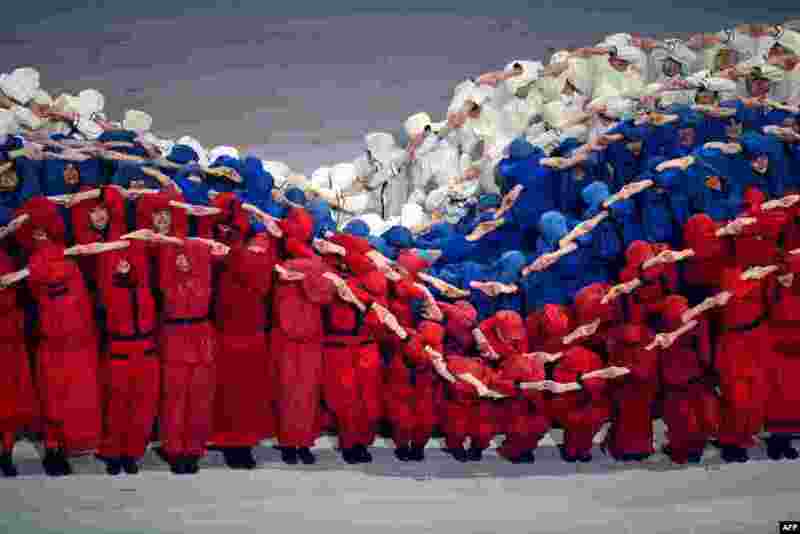 ۸ Artists in the colors of Russia perform at the Fisht Olympic Stadium during the opening ceremony of the 2014 Winter Paralympic Games in the Black Sea resort of Sochi.